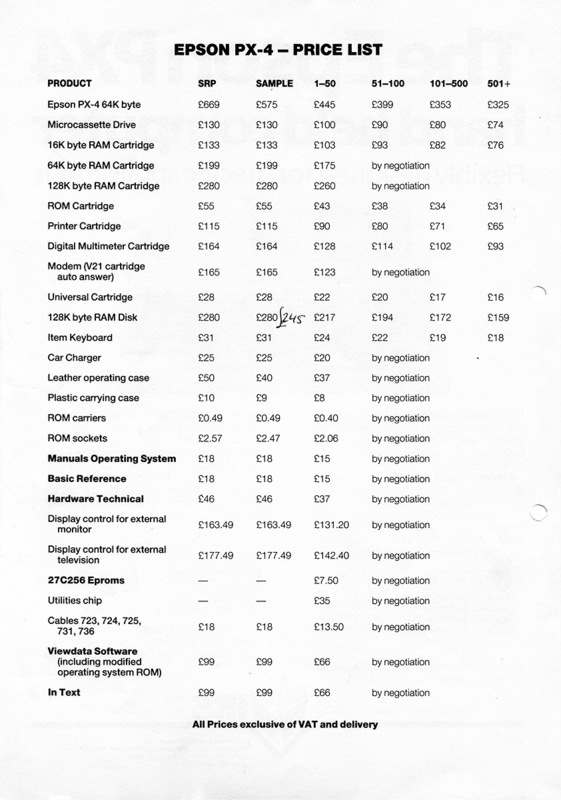 As promised I’ve scanned in some of the literature that I’ve amassed from my various recent Epson purchases. 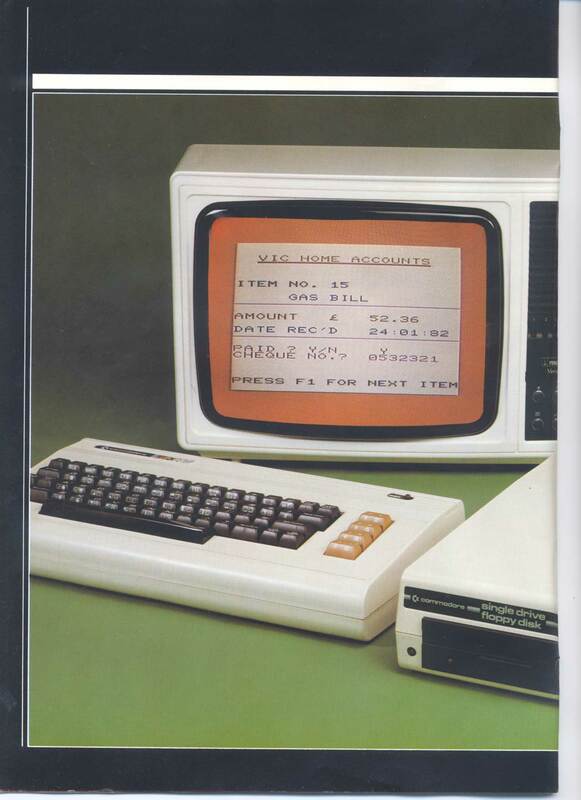 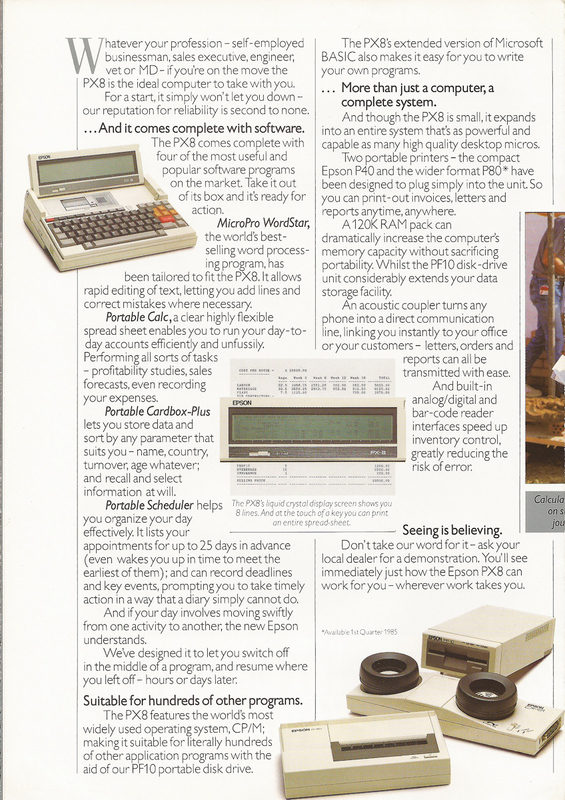 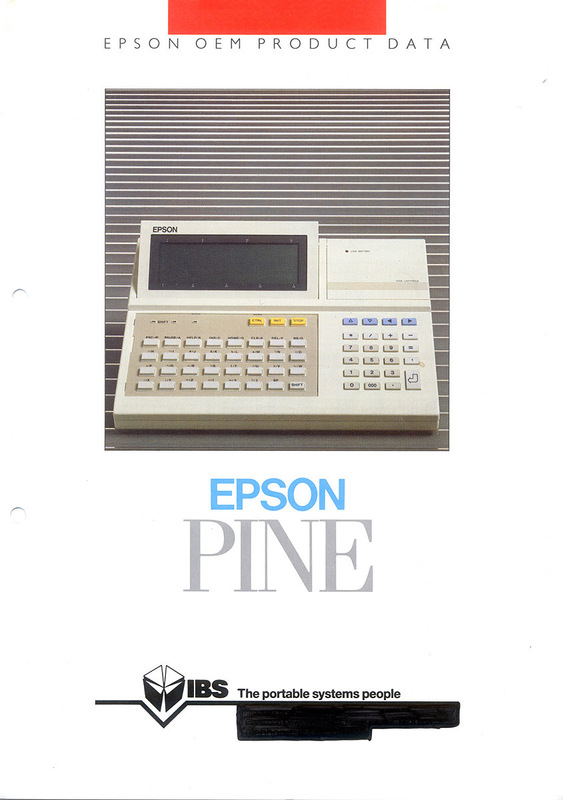 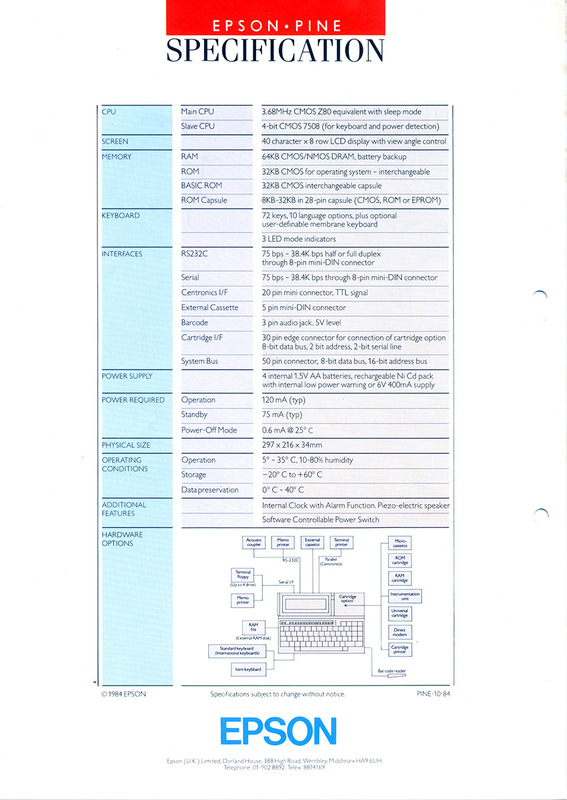 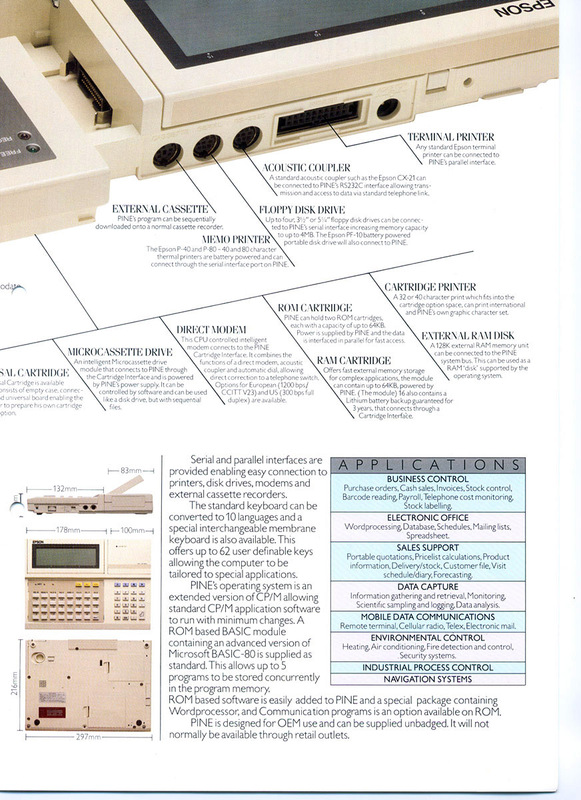 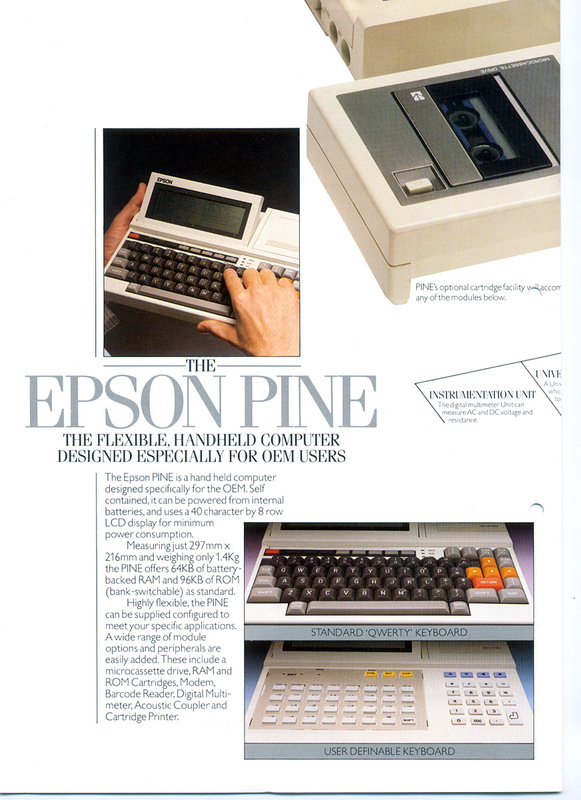 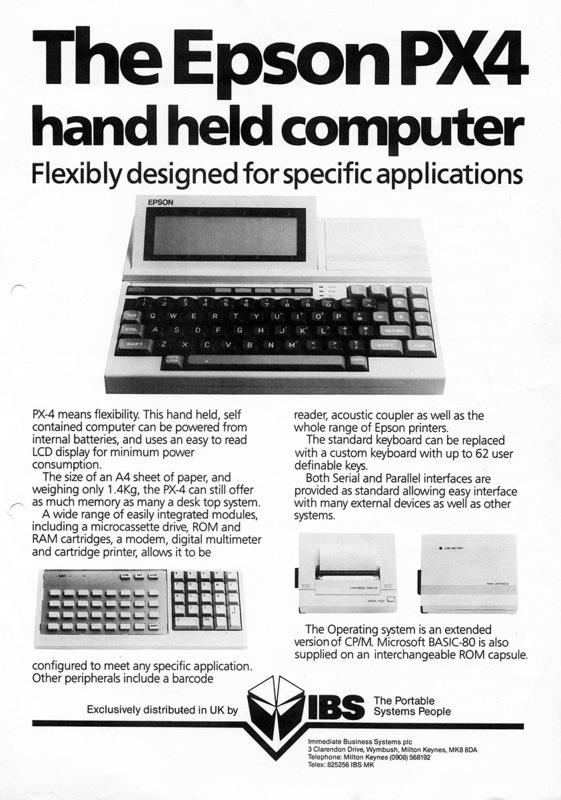 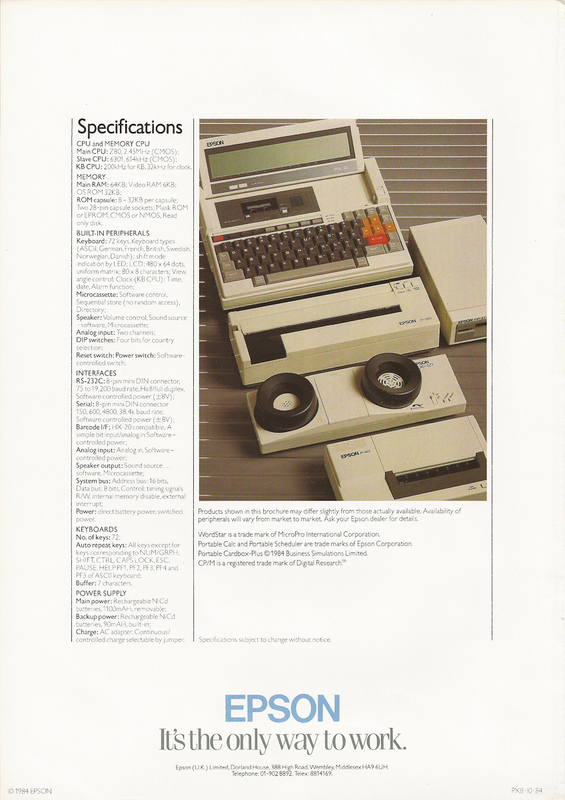 Included is a promotional brochure for the PX-4 Pine with technical specifications and a UK price list. 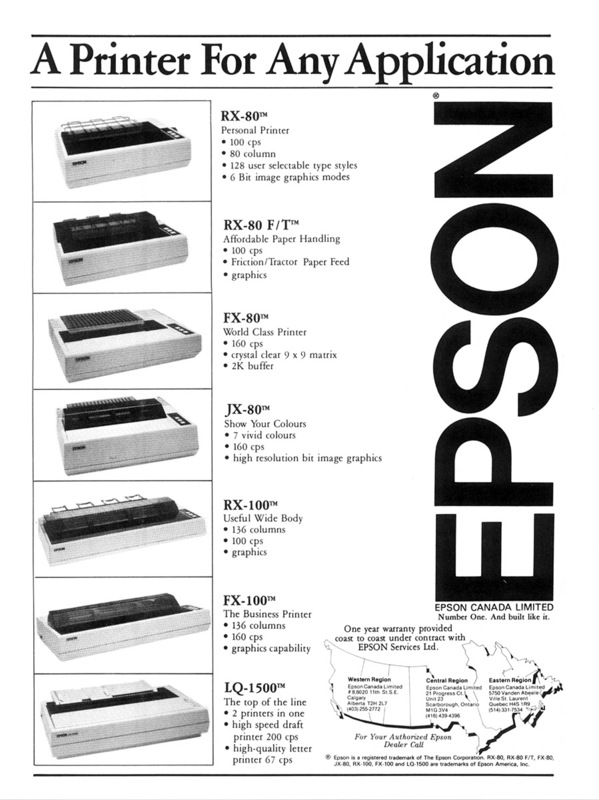 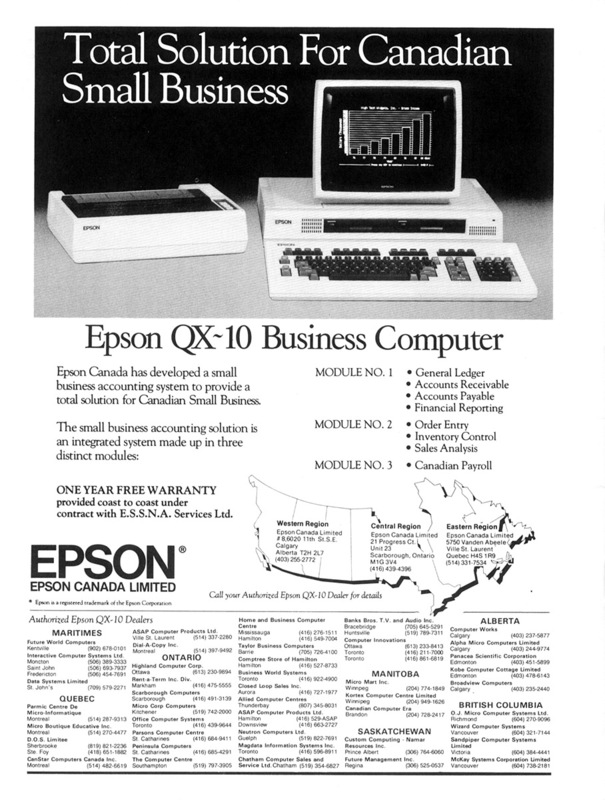 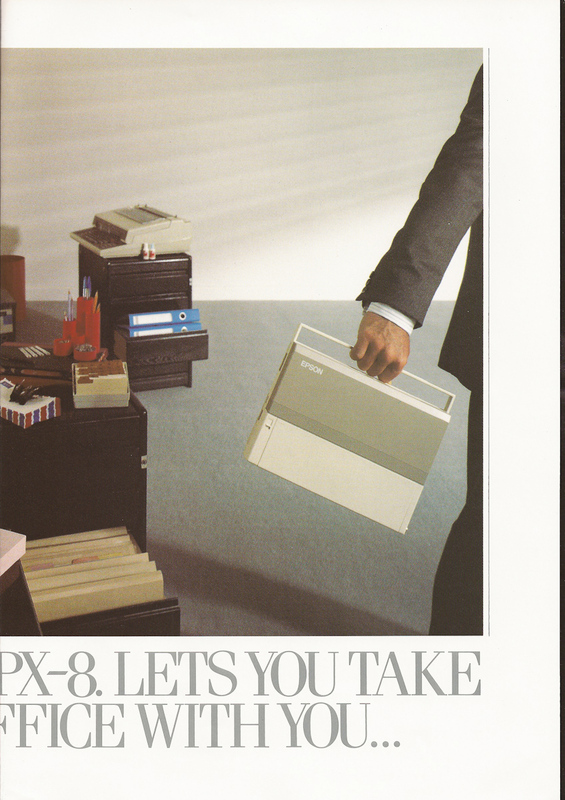 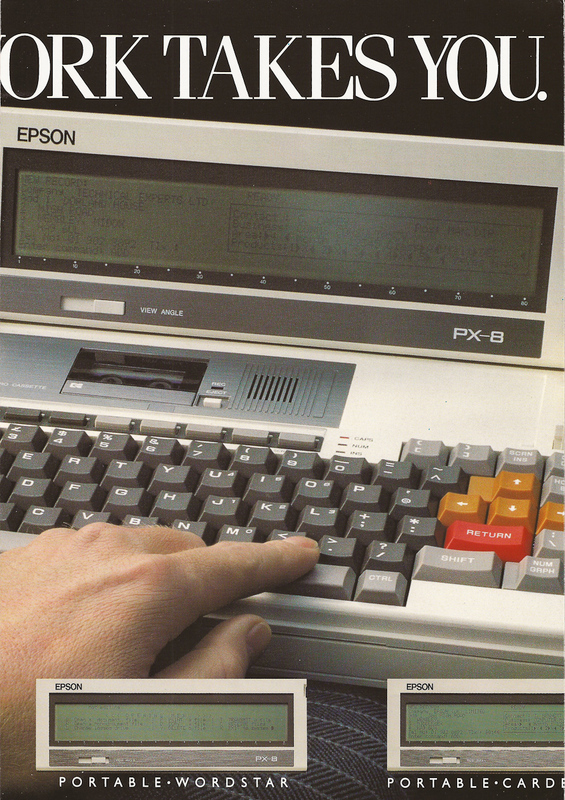  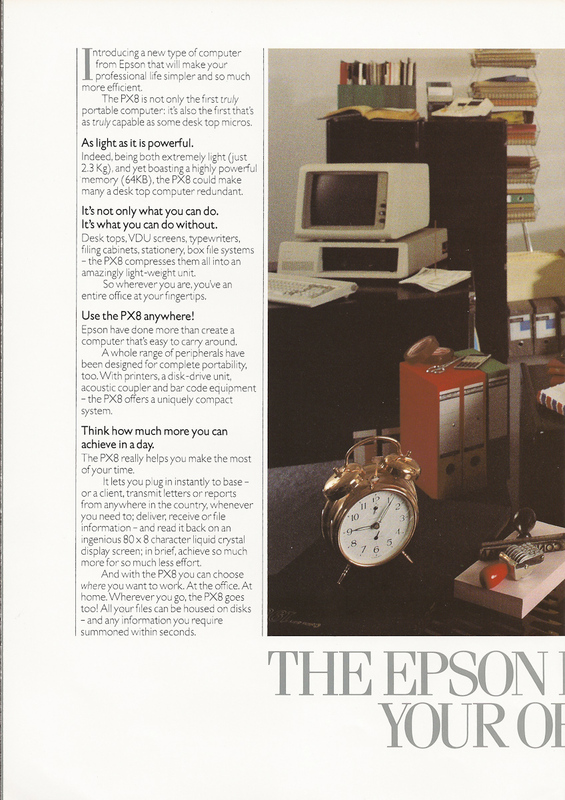 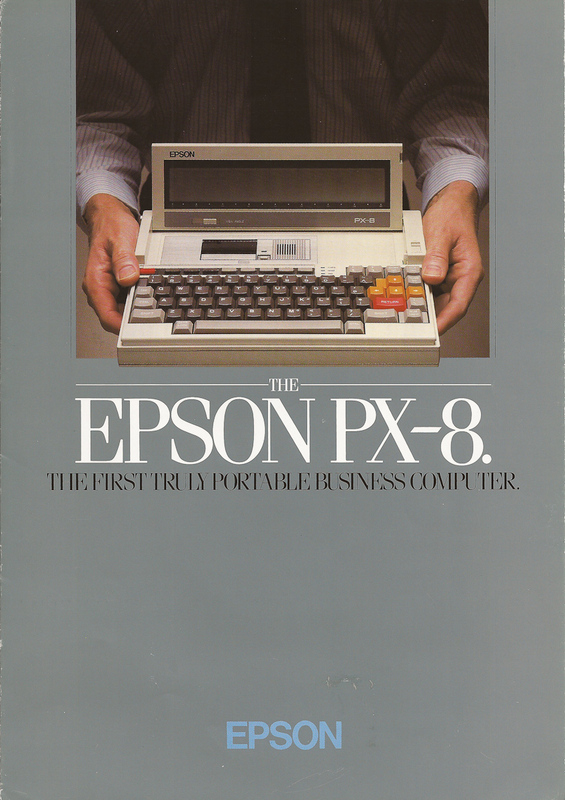 I’ve also added a couple of adverts, one for the QX-10 and one for a range of Epson printers available at the time. 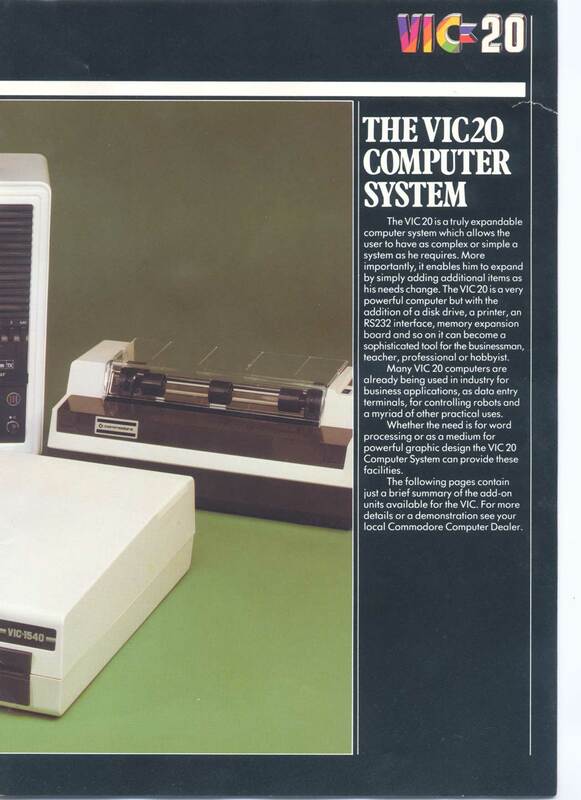 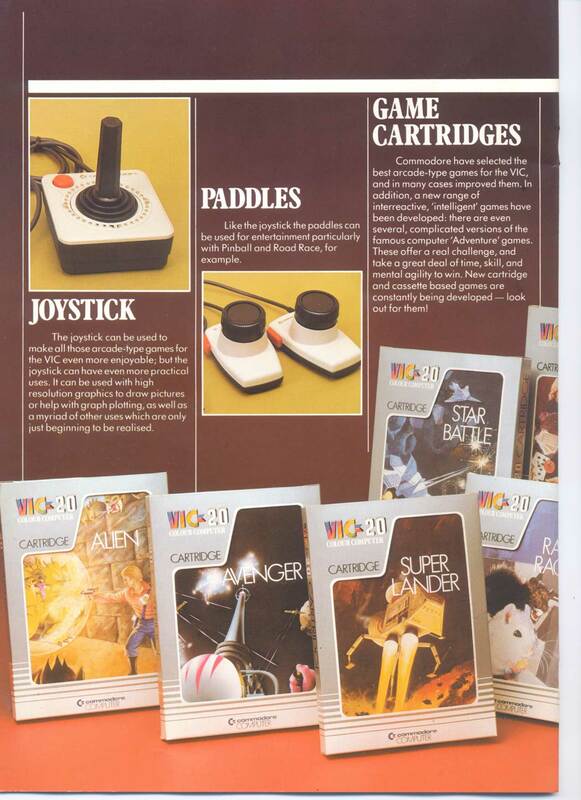 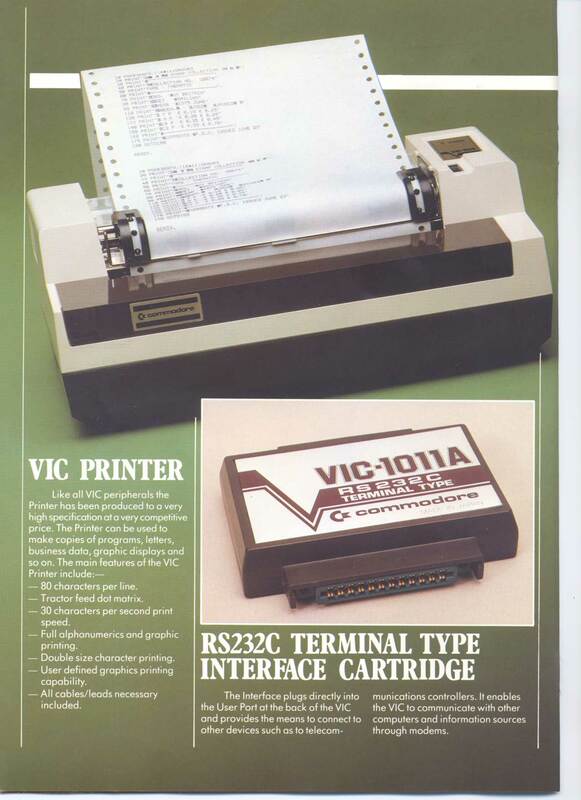 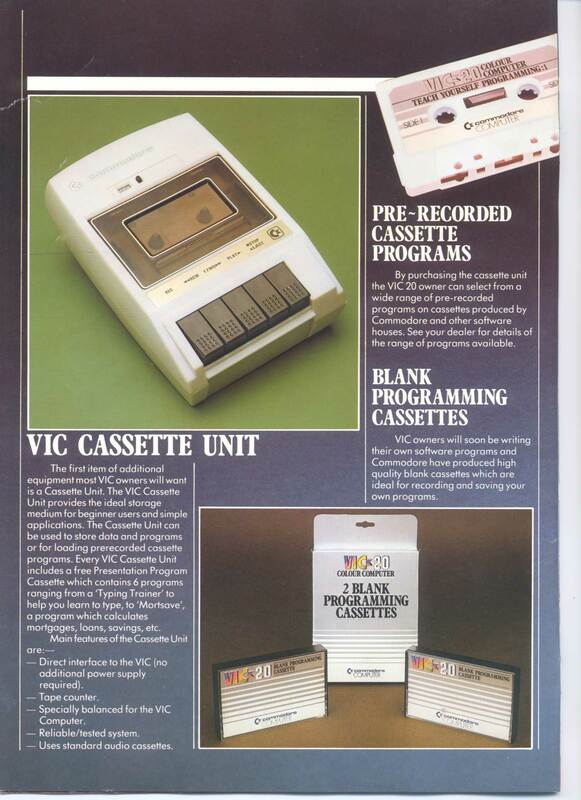 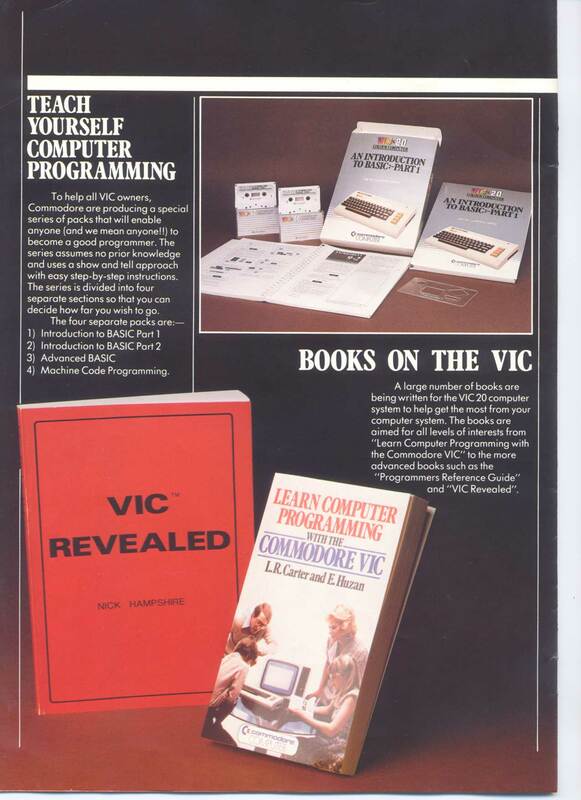 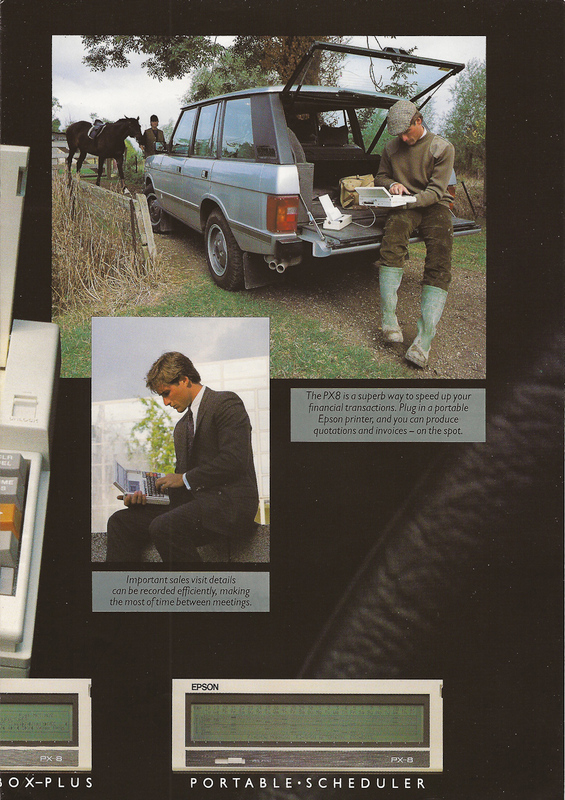 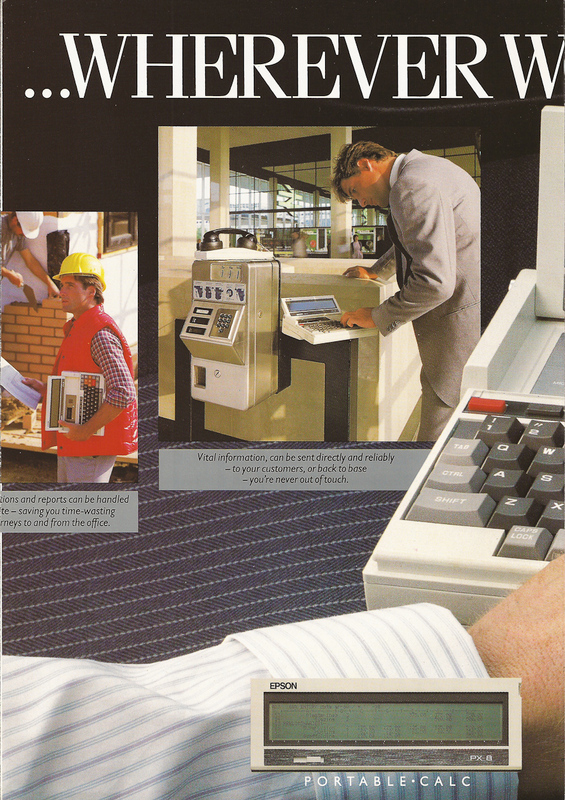 Here are some more scans of some further promotional literature I found amongst my recent Vic 20 purchases. 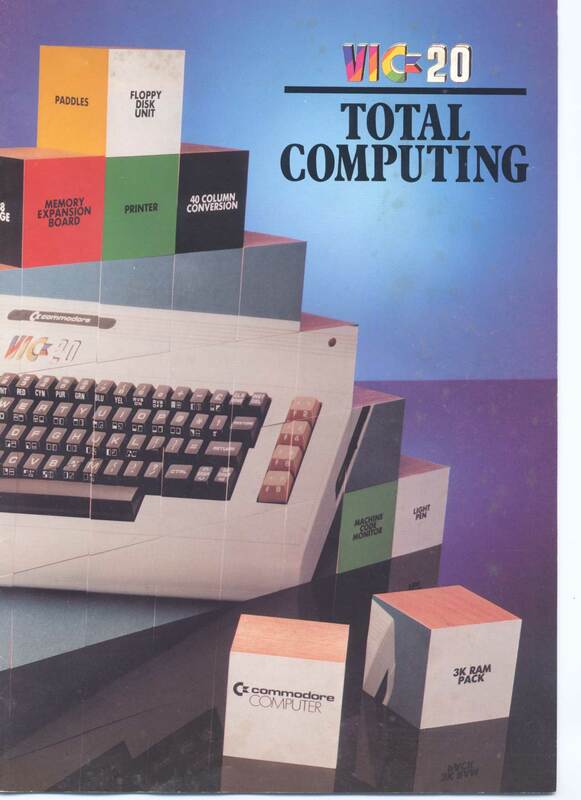 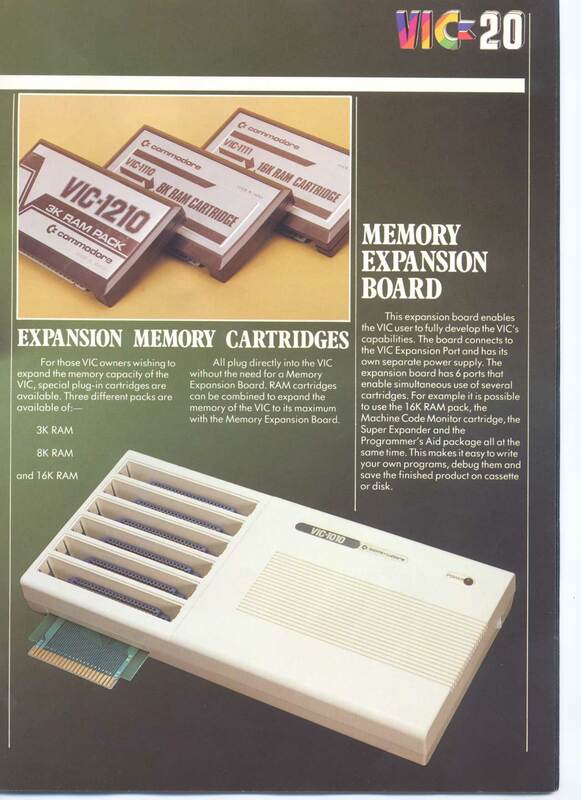 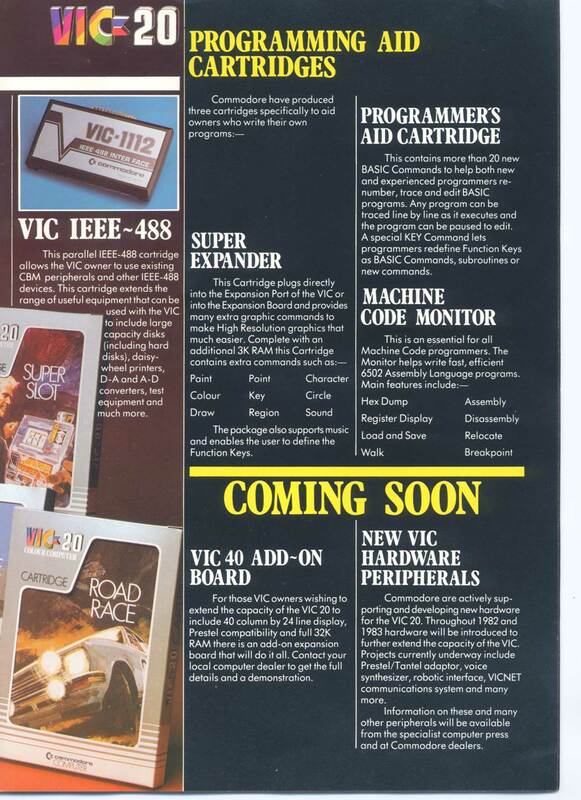 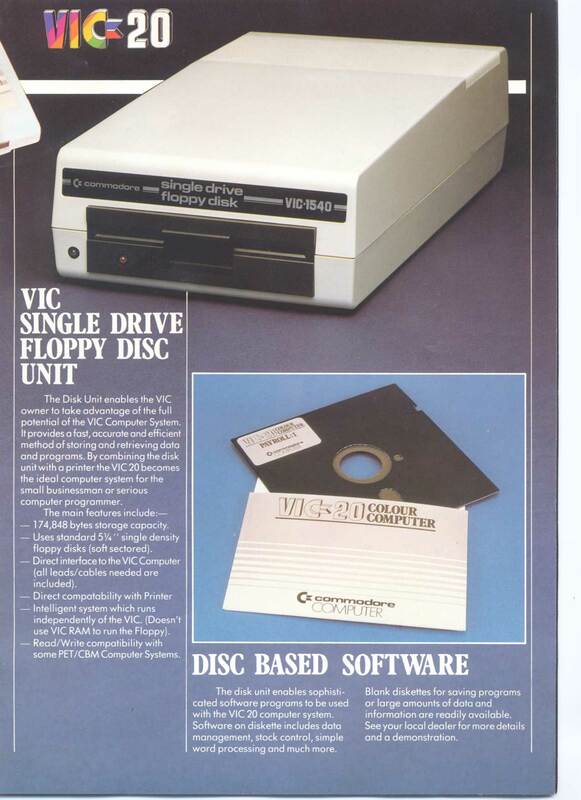 There are a couple of items shown that I never knew existed, probably just as well as I’d have lusted after them but would never have been able to afford them, especially the memory expansion board.